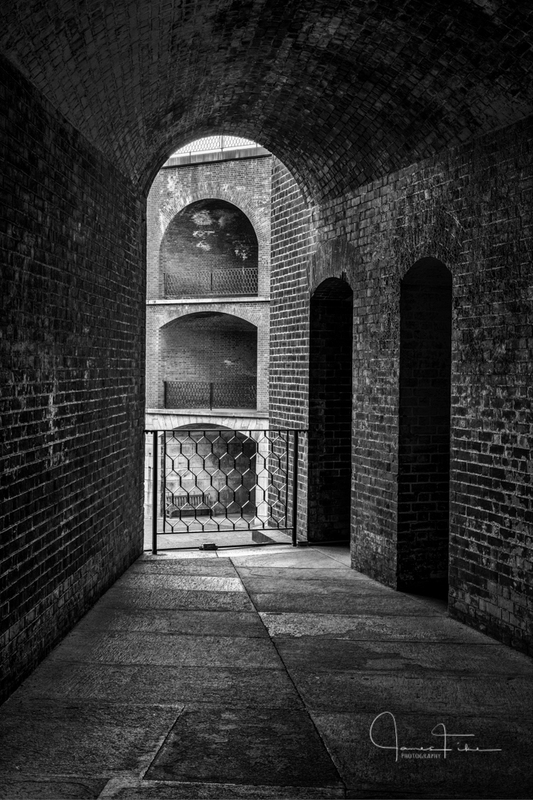 Tucked away on the south end of the Golden Gate Bridge in San Francisco, California you will find a California Historical Landmark, Fort Point. In this great city there are a great number of wonderful landmarks and other exciting photographic photo opportunities. Many I haven't even explored myself as yet, still this particular site has me coming back again and again. I have captured many images, good and bad, of this old fort over the years and I still haven't found that image, that moment in time, that says to me that I have captured the soul of this place. 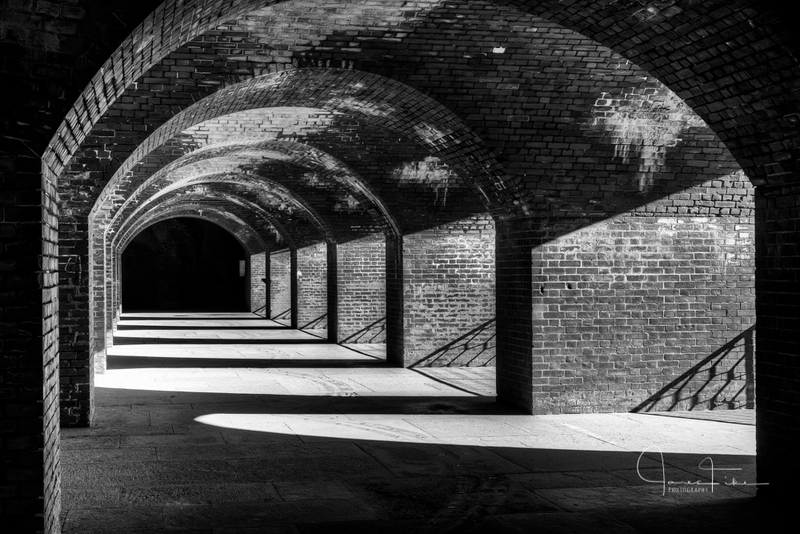 Fort point is full of history, arches, shadows, repeating patterns and textures that often leaves me a little overwhelmed. If you are going to be in San Francisco and are planning a visit the Golden Gate Bridge this is one destination that's worth a visit also. 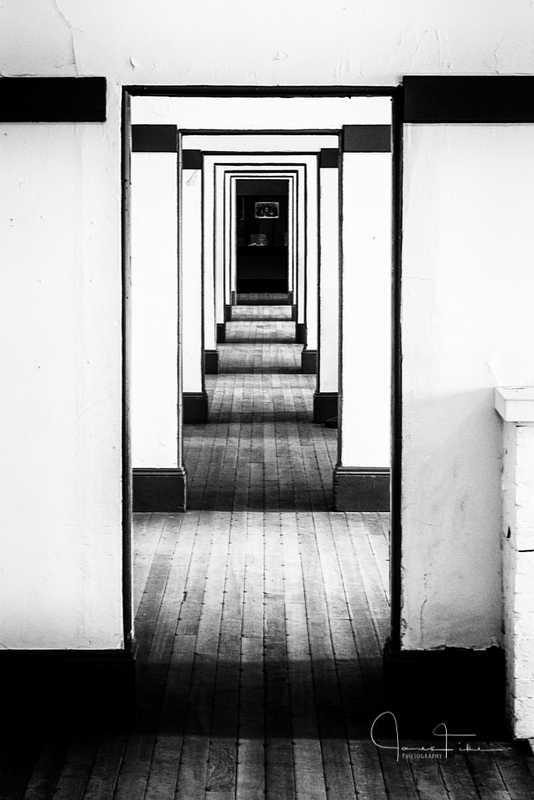 You have a great view of the Golden Gate Bridge and if you are looking for some great photos you will find more than a few here. 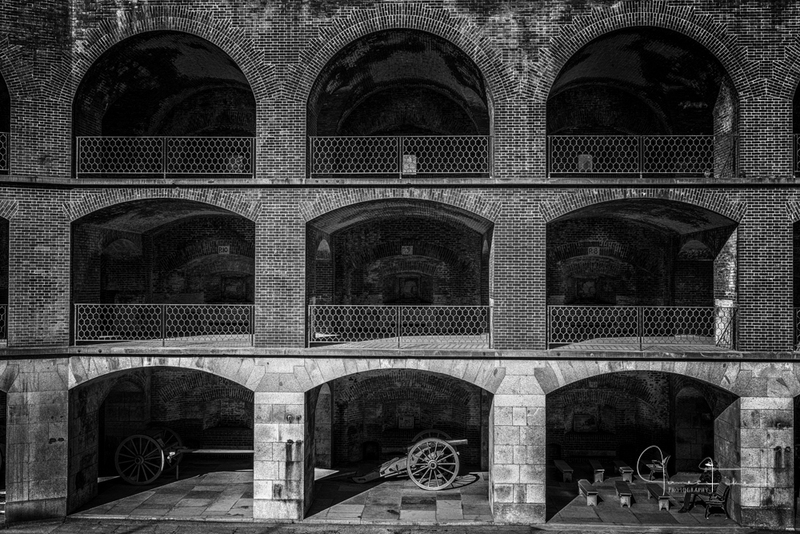 Below are some of my most recent shots; sadly it has been nearly three years since I last visited the fort. I guess it may be time for me to make another visit some time in the near future. Maybe I'll get lucky and get a few clouds too.